New cars hit the streets of Los Angeles every day, and nearly 75% of Angelenos drive alone. Unsurprisingly, it’s estimated that the average commuter spends 80 hours a year stuck in traffic¹ while the average daily commute now takes nearly 30 minutes². This kind of congestion is bad for productivity in Los Angeles and the resulting pollution undermines everyone’s quality of life. It’s why we’re excited to mark one year since the launch of uberPOOL in Los Angeles. uberPOOL enables people going to the same place at the same time to share the journey. It’s all about getting more butts into fewer cars. This means cheaper rides for passengers and less congestion over time. Choose the uberPOOL option in the app. Enter your destination and request a ride. You’ll see your driver’s details straight away–name, photo and the details of the car. As with uberX, these drivers have undergone an extensive screening process. At the end of your trip, you’ll pay just like a normal Uber trip and receive an electronic receipt. uberPOOL is a proven model. 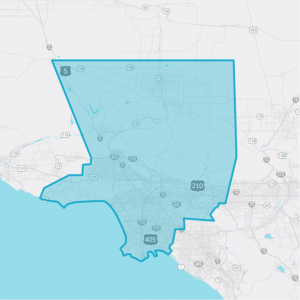 In LA, uberPOOL now accounts for 25 percent of our trips in the city and millions of rides. In the last four months, riders have saved over 4.3 million miles by sharing rides on uberPOOL—translating to over 750 metric tons of CO2 emissions saved. Cheaper rides for passengers: uberPOOL is more affordable because the cost of the trip is shared. Fares can be as much as 30% cheaper than uberX, and the average trip on uberPOOL costs just 10 bucks. Less congestion: uberPOOL is a convenient way for people going in the same direction at the same time to share the journey. This helps cut congestion and pollution. And because uberPOOL is cheap and easy to use, over time it offers a credible alternative to car ownership. If you can press a button and get an affordable ride across town within minutes at any time of day or night, why bother to own a car at all? 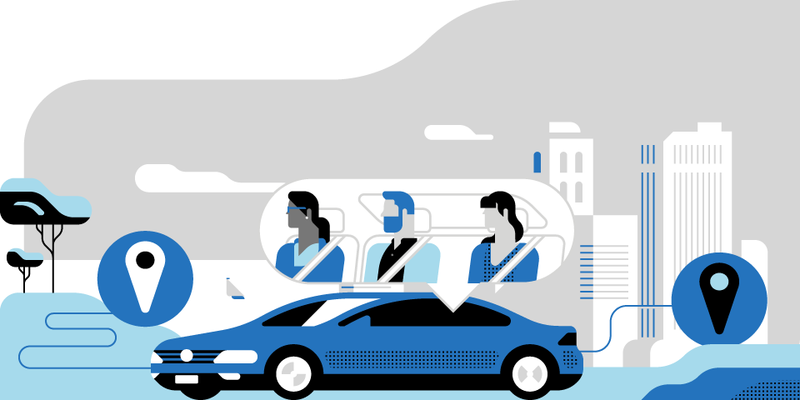 Less time between trips for drivers: uberPOOL means less idle time between paying trips for drivers. It also means more demand overall because as the cost of a trip falls, more people use the service– which means more rides for drivers. uberPOOL is available across Los Angeles County. Map of Los Angeles request area. FACTS ABOUT uberPOOL:Since uberPOOL was launched in San Francisco in September 2014, it has expanded to cities around the world, including: Austin, Bangalore, Boston, Chengdu, Chicago, Guangzhou, Hangzhou, London, Los Angeles, Mexico City, Miami, New York City, Paris, San Francisco, Shanghai, Shenzhen, Toronto, and Washington D.C.
Uber Newsroom: Who says New Yorkers don’t like to share? uberPOOL is helping Angelenos go further and do more at the push of a button—but we’re just getting started. We look forward to working together to build a future with fewer cars, more shared rides, less traffic and smarter cities. We can’t wait for what’s to come and what we can do—together.